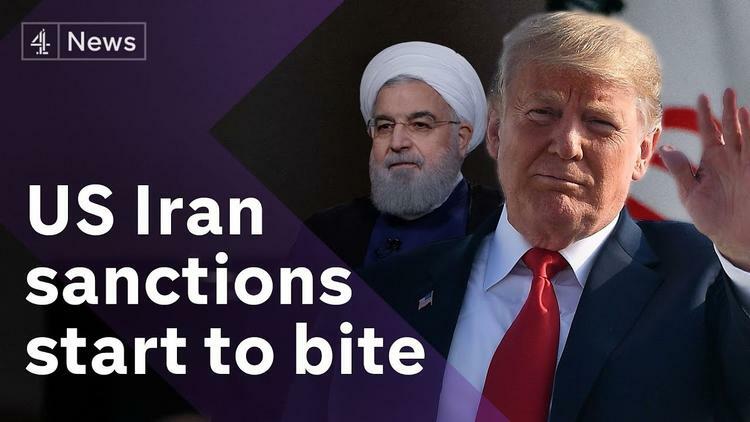 A further round of new Trump sanctions against Iran went into effect yesterday, but the president is failing to get buy-in from allies and rivals, who pledge to keep dealing with Iran. Chinese auto-makers are flooding into Iran to replace French car companies there. China has pledged to pay no attention to the Trump threats. The European Union has signaled that it may impose substantial fines on European firms that pull out of Iran deals for fear of Trump’s unilateral US Treasury Department sanctions. It is likely that smaller European companies that trade with Iran but have no relationship with the US will continue their relationship with the Islamic Republic, using Euros and non-US banks. But large firms such as French oil giant Total S.A. and Renault have signaled that they will get out of Iran to avoid American fines. It is hard to imagine them taking this risk or that EU fines could offset the threat of American ones. The US has fined European banks billions for dealing with Iran in the years before the 2015 UNSC Iran deal. The European announcement is likely intended to reassure Iran of the continued commitment to the Joint Comprehensive Plan of Action of the European Union member states, and to forestall an Iranian return to large scale nuclear enrichment (which Iran maintains was for peaceful purposes). Russia may be happy with Trump in general, but his assault on the Iran deal is driving the Kremlin up the wall. Russia needs Iranian help in Syria, and its businesses want to invest in Iran to take advantage of the good feeling produced by the alliance. Russia is planning to invest $50 bn in Iranian oil and natural gas, and doesn’t welcome Trump interference in this plan.